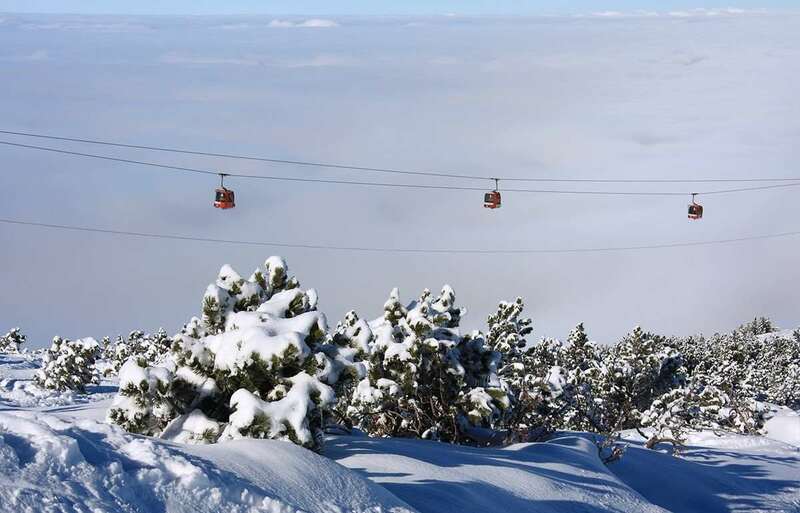 The Rila Studios really are at the heart of Borovets, occupying a convenient location directly at the bottom of the four-person chairlift and the nursery slopes. Guests can enjoy the hotel’s extensive range of facilities including an indoor pool complex. All studios have been refurbished to an excellent standard. The impressive Rila Hotel and Studios occupy a prime location directly at the bottom of the four-person chairlift and the nursery slopes. The hotel offers an extensive range of facilities, which combined with its superb location close to the resort's main amenities including an indoor pool complex, makes it a very convenient choice for your winter holiday to Bulgaria. All bedrooms and studios have been refurbished to an excellent standard. The Rila Studios are really at the heart of Borovets, occupying a fabulous location right at the foot of the slopes. All the resorts amenities are close to hand with the ski school meeting point, nursery slopes and four-man chairlift on the hotel’s doorstep. Studio Rooms (2-4 people): Have twin beds and a set of bunk beds, small kitchenette, fridge, satellite TV, balcony, hairdryer, bath and wc. Hot & cold buffet breakfast and four course buffet dinner. Christmas & New Year meals included.